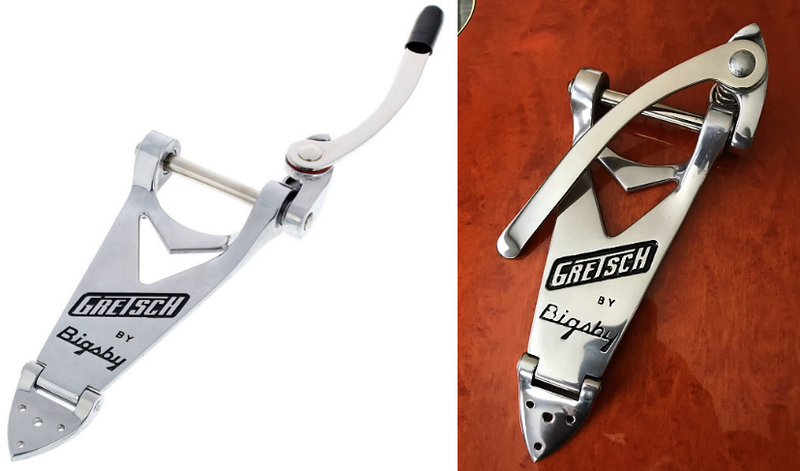 nobody talkin about Bigsby being sold by Gretsch, into Fender’s claws? Billy- I found a less destructive way that really works, at least it did for the two Strats I had over the years.... Teflon tape. It's the stuff plumbers et al use to wrap around threads before they join two pieces together (like on a kitchen faucet, for instance). Cheap, non-sticky, and two or three wraps around the post takes all the slop out of the thing without so much as a ding being made..
Of course, that ding may add a certain je ne sais quois to the instrument, while at the same time relieve some of the stress from the ding-er. But teflon tape works, too. They were a lot less impressive in person, and quite different from original Bigsby guitars in different ways. your comment was very kind.You could be an ambassador. I'm not so silver tongued.. I've played these and they are silly comparisons, nicely made yes and fun to play but naaah, not Bigsby replicas. Nothing close to what Paul Bigsby was doing. 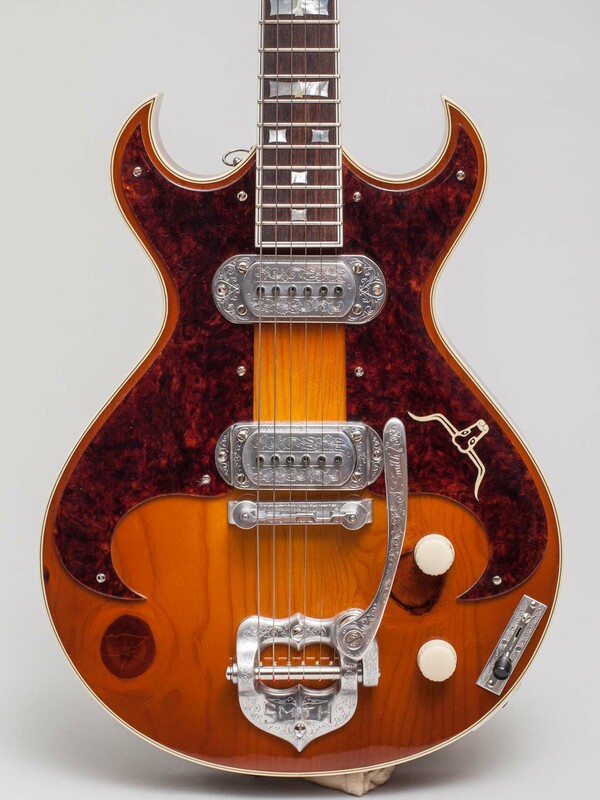 TK Smith has been doing Paul Bigsby proud, but also setting a course for his own unique products, and I think He will also be just fine as TK has created his own "brand", headstock design, neck, body and even vibrato and pickups that are 100% TK Smith! So nobody knows about these yet? If Fender is smart, they'll hire TKSmith to build their Bigsby guitars. That may happen too, in which case, vaya con dios, but I bet whoever predicted that Stern & Co. will crank out a handful of pricey replicas is correct. The 'not so perfect' logo on the right looks so much better. Interesting 2016 article on who owns Fender. I wonder if this is still accurate. Two private equity firms, both headed by men who like guitars. Better than being grabbed up by Gibson, I guess.